Toddlers are a special breed. They can be hyper, bossy, sweet, and selfish, all in a matter of 15 minutes. When your toddler won't nap, yet they're also super cranky, it can be very frustrating. 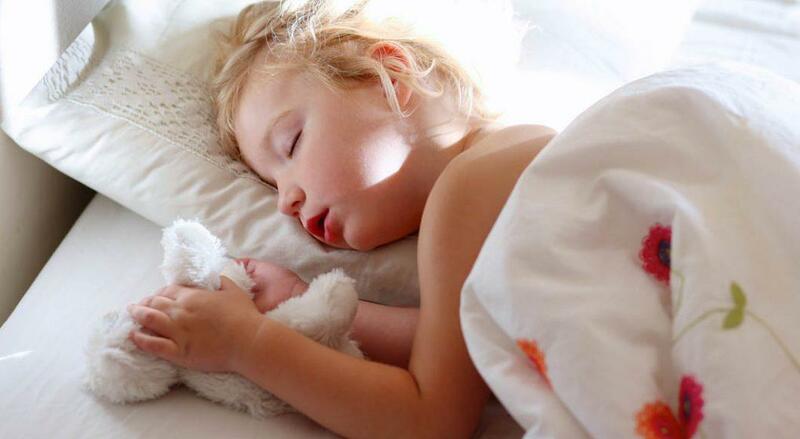 In this article, we'll discuss 7 great tips for how to get an overtired toddler to sleep. You’re probably struggling with how to pay attention to your toddler’s sleepy cues since it seems as though they’re running on 100% ALL. DAY. LONG. Rest assured mama, it’s not impossible. In between the multiple semi-heart attacks you experience throughout the day, it's important to remember that your little Energizer bunny still needs to take at least one 1-hour nap. 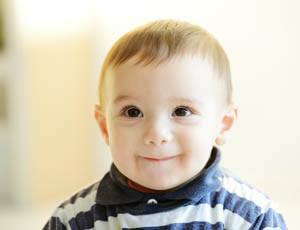 Toddlers shouldn’t stay up more than 4-5 hours before taking a nap or else they’ll begin to show signs of overtiredness. In total, your little one needs at least 15 hours of sleep per day in order to function at his best. Napping at this age is still very important for neurological and physical development. Skipping naps can be detrimental to not only your toddler, but to you as well. So what do you do when your toddler won't nap? We discuss some great tips below. A toddler fighting naps can be one of the most nerve wracking challenges for a parent. Be patient. 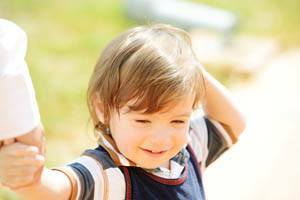 You may find that it’s difficult separating typical toddler behavior from overtired behavior. Here’s exactly what you need to know before putting your exhausted toddler to sleep. Remember back when your toddler was just an infant? Babies can get overtired too. What worked for you then? The same discoveries that you made then can help you now. Overtiredness is a state of exhaustion that is reached when a child hasn’t gotten enough sleep. Stress receptors cause the brain to pump adrenaline and cortisol into the body in order to keep the brain attentive. So if you’ve noticed that your child hasn’t taken a nap today but is running as if they just downed 98,230 Red Bulls and has a full blown meltdown because you gave them the juice that they begged for in the first place, then your little one is probably showing signs of overtiredness. Skipping naptime is one of the main causes of overtiredness in toddlers. You know how your mom/aunt/grandma tells you to just let them skip a nap because they’ll just pass out at the end of the day? Don’t listen to them. They’re wrong. The longer your toddler stays awake, the more stressed his body will become. His body will release more and more adrenaline and cortisol, making it even harder for him to sleep. It becomes a self-fueling cycle. As a matter of fact, overtiredness causes many behavioral and temperamental problems since they’re not really operating in a reasonable state of mind (but when are they ever, right?). Another factor that can contribute to overtiredness is overstimulation. Unlike babies, toddlers don’t get overstimulated as easily or as often, but it does happen. Toddlers need time to rest and reset after all of that playing, coloring, dancing, singing and jumping off of furniture, so it’s best to make naptime a top priority in your house. 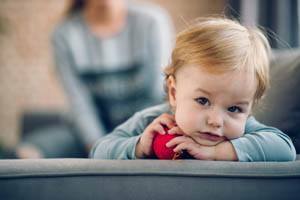 If you’ve dealt with overtiredness while your toddler was a baby, then you have a basic idea of what you should do once you realize he’s overtired. Unfortunately, swaddling and rocking is out of the window for your 30-40 lb ball of sunshine. But there are some similar guidelines to follow. Putting a toddler that is overtired to sleep is not an easy task, but it is definitely rewarding in the end. The majority of your time will be spent trying to wind them down. So that whole plan you had to marinate the chicken for dinner tomorrow (? ), that may have to wait until morning. As you know, toddlers get distracted very easily. So the first thing you want to do is remove tablets and loud toys, turn off the tv, dim the lights and get your toddler into a nice quiet space. Reducing the amount of things for him to focus on will give him less of a reason to want to stay awake. If your toddler is really wired, it may help to do a quiet activity for 10-15 minutes that forces them to keep still and focus on what they’re doing. Lacing activities, puzzles, pushing popsicle sticks into a small box, even coloring could be a great way to calm your toddler down before bedtime. Toddlers who are hungry will not fall asleep. As you know, many toddlers are often too focused on other things during the day to eat more than a handful of crackers, two bites of an apple, and a few chicken tenders. A rumbling stomach is a distraction for toddlers, and more often than not, they won’t tell you that they’re hungry unless you ask them. Supplement this with a bowl of something hearty like oatmeal right before bed and encourage your little one to drift into a food coma. Lavender has been proven to provide very calming effects on the brain through aromatherapy. Bathing your little one with products that contain lavender, or even dropping a few drops of lavender essential oil into his bath will be enough to calm him down and relax him so that he’ll start feeling sleepy again. Try not to encourage too much play during this bath by only giving him one or two bath toys. This will prevent him from getting too amped up. White noise is a mixture of frequencies that is used to help ease the mind so that it can focus on whatever it’s trying to do. This is beneficial because the actual white noise can’t distract you since you’re unable to focus on any one frequency over the other. The best thing about this is the fact that it drowns out any surrounding noise, making it easier to fall asleep and stay asleep. If you don’t have the funds for a fancy white noise machine, try using a loud fan or play a white noise video on YouTube through their tv or a tablet. Once your little one is all full, clean, and ready for bed, lay them down and rub their back/belly in soft, soothing motions. I’ve found that when my daughter is really wound up, stroking her back or stomach can calm her down almost instantly. The repetitious movement and sense of touch gives them something to focus on. This helps to calm them down, raise their serotonin levels, and relax them enough to drift to sleep. For some children, being left alone is the best way to get them to fall asleep. If your toddler is very good at falling asleep independently and you feel as though staying in the room with them will only encourage them to want to play, then leaving them in the room by themselves could be the best option for you. Even if he plays around for a little bit, if the room is dark and his toys are gone there really isn’t much else to do except fall asleep. Leave your little one in the room by himself and let him burn off some of that extra energy. Don’t go in there if you don’t need to. Unless of course you feel as though he may be attempting to fly off of his dresser again. Go do the dishes, use the bathroom, or fold that laundry mountain that has taken over the couch. By the time you finish, he’ll more than likely be out like a light. The best way to avoid overtiredness in toddlers is to get them on a consistent schedule and routine. Bypassing naptime can be so easy since we’re usually wrapped up in other things around the houses. Setting alarms and reminders on your phone is a great way to keep everyone on track. Once you set a schedule and stick to it, you’ll see how much better your little one’s mood has improved and how easy it is to get him to sleep.